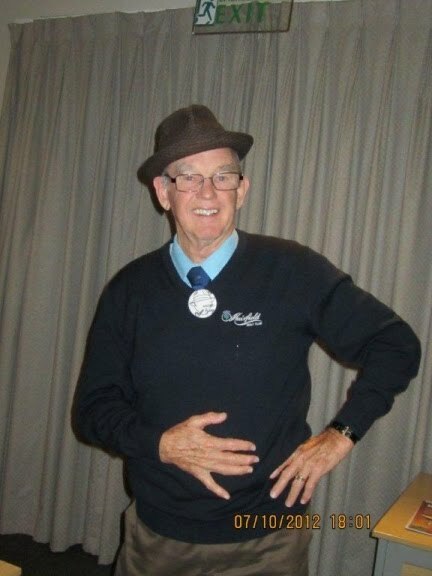 Ron, whose extensive Bing related CV extends to time spent with Bing on the golf course and who has written extensively on this board about his experiences in his meetings with Bing, has sent me a photo of himself complete with a Bing badge. Not exactly recent but I can attest that he still looked the same when I last met him at the Leeds gathering a year ago. 2011 meeting with a hat that belonged to Bing. Bob Halls is the proud owner now of the hat.